The Olympics. They're a dream for athletes, of course, but also for artists, what with the Games' many colors and images tied to country and sport. 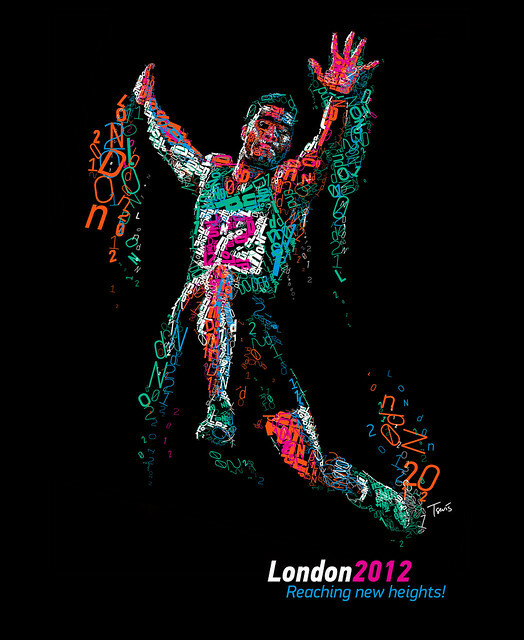 Greek designer Charis Tsevis wanted to capture all that, even before London 2012 begins. So he put together a unique, typographically based set of designs to celebrate the visual feast that is athletics' signature international competition and shared the images with Playbook. That's the third image in the series, one that celebrates the Dream Team from 1992. And not all look like that. Tsevis, per his project write-up, said he drew from multiple influences: punk rock (because of the London ties), techno and rave scenes and even Great Britain's 19th-century Arts and Crafts Movement. In all, it built up to a fascinating, five-piece gallery filled with soccer, track and more. From Tsevis' description: "This is the first illustration I created. I used only two of the main colors of the visual identity, the magenta and light blue. 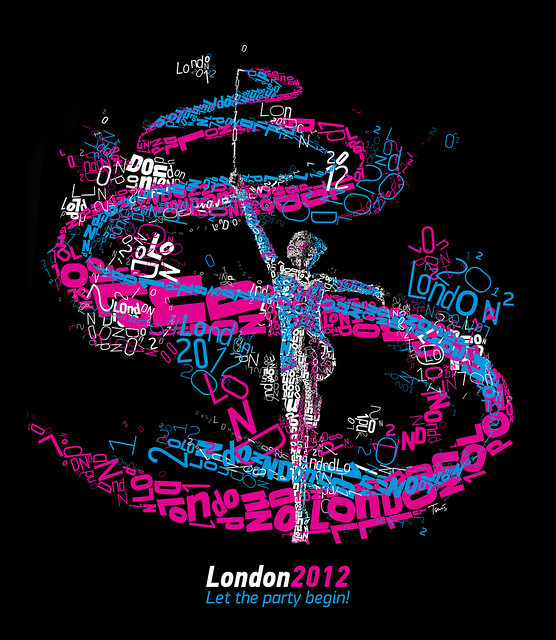 I wanted to transmit the happy feelings of celebration of the opening ceremony." "The second illustration created was about soccer. The very early origins of football can be found in China, as almost any other invention on the planet, but the current form of the game is surely from England. For this illustration, I have used more aggressive, more punk rock forms." "Athletics is the king of any Olympiad. These sports are closer to the noble spirit of the original Olympic games as they have been introduced to the world by the Greeks and later by the Romans. I have chosen two of the most popular sports for my experiments. Long jump was one of them." "Do you remember the 'Chariots of Fire' movie? ... 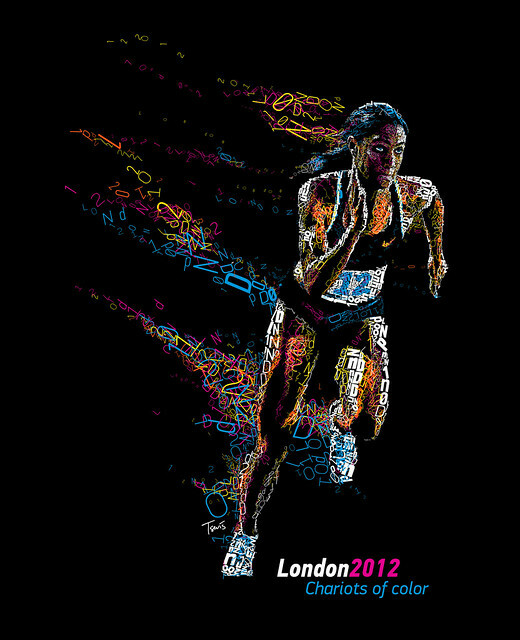 Creating graphics for the Olympics cannot be complete without a runner. This is my version of the chariots of colors. I have chosen the Cuban-born Italian athlete Libania Grenot to tell a modern story about gold, honor and discrimination." All images courtesy of Charis Tsevis. For a closer look at the images, click here. 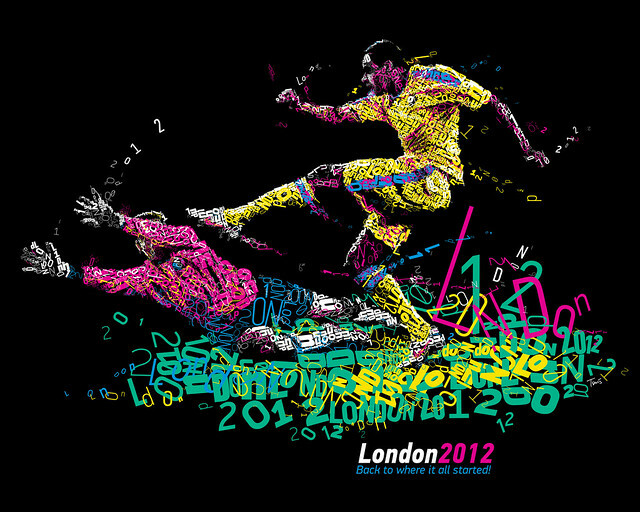 For more sports-themed designs from Tsevis, click here.